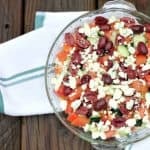 Greek yogurt dip is a healthy recipe that brings in Mediterranean flavors with fresh vegetables and feta cheese. 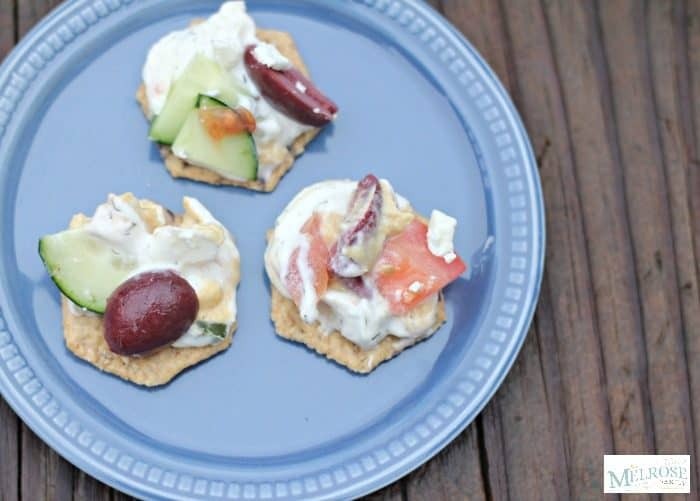 This Greek Yogurt Dip makes a great snack or is the perfect appetizer for entertaining. It’s one of those dips that I just want more of because of the flavor combinations. Plus, I love knowing that it’s not bad for me. This is a sponsored post on behalf of Crunchmaster. All opinions are my own. I am completely obsessed with this Greek Yogurt Dip. It is my go-to dip when we are entertaining or if I need to bring an appetizer. It comes together in just about ten minutes and most of the time I even have the ingredients in my refrigerator. 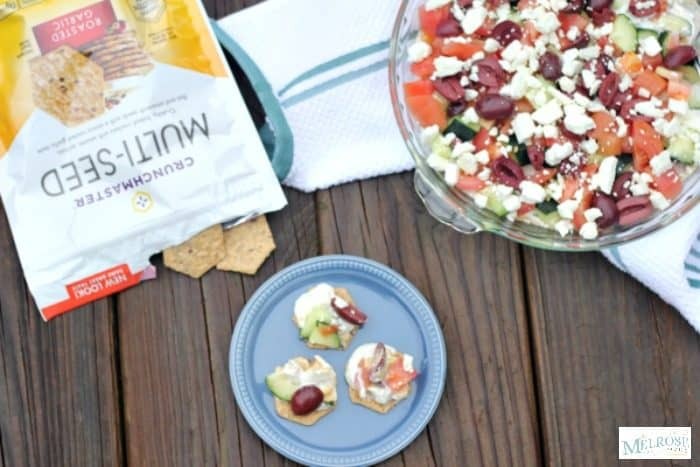 Plus, it makes the perfect snack idea that is 21 day fix approved when paired with Crunchmaster crackers. 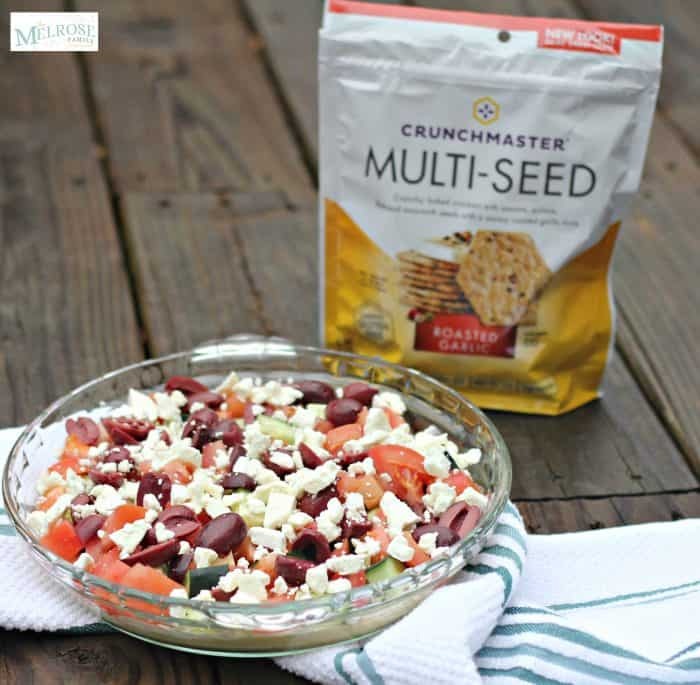 Crunchmaster multi-seed crackers are by far my favorite crackers. They come in an assortment of flavors from roasted garlic to buttermilk ranch & dill that you can pair easily with most dips or toppings. They are certified gluten-free and start with the base ingredients of non-GMO California grain rice, specialty sesame seeds grown in the U.S., quinoa seeds sourced from the Andean region of South America and flax seeds grown in the plains of Canada. They curb your cravings and pair easily with any of your plans. The roasted garlic worked exceptionally well with this Greek yogurt dip. Use store bought hummus as your base. Use store bought tzatziki as your second layer. Easily chop up a cucumber and a ripe tomato. Chop kalamata olives in half. 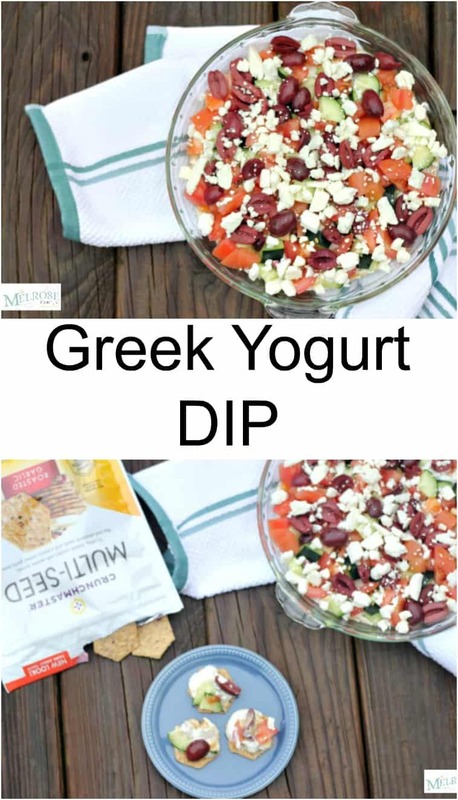 Not only is this Greek Yogurt Dip made with fresh vegetables, but it includes 21 day fix approved hummus and tzatziki, which fill your blue container of fats and cheeses. You’ll need to limit yourself if you are sticking to your 21 day fix plan, but not to worry because this dip keeps well. Simply cover it with saran wrap and chill in the refrigerator. 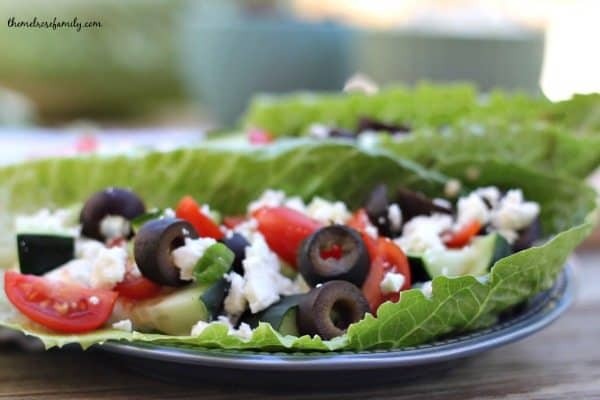 Use the Greek yogurt dip on romaine lettuce as Vegetarian Lettuce Wraps. 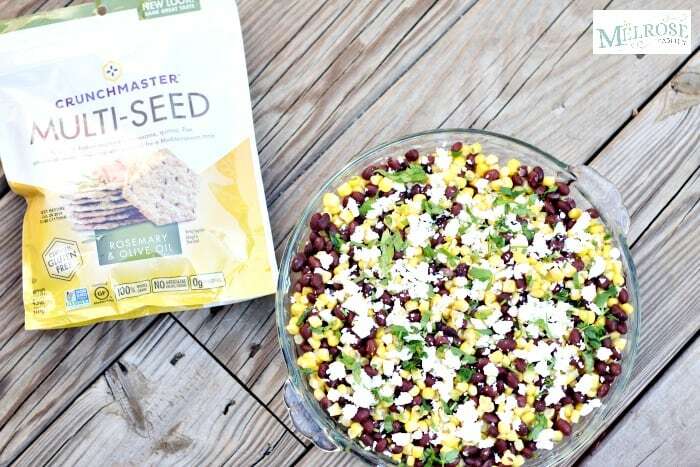 Make a quinoa salad by combining the Greek yogurt dip with quinoa. Top lamb kababs with the Greek yogurt dip. Make pizza with using naan and cover with Greek yogurt dip. Top your favorite gyros with Greek yogurt dip. Greek yogurt dip is the perfect easy dip that is full of flavor and sure to be a crowd pleaser. 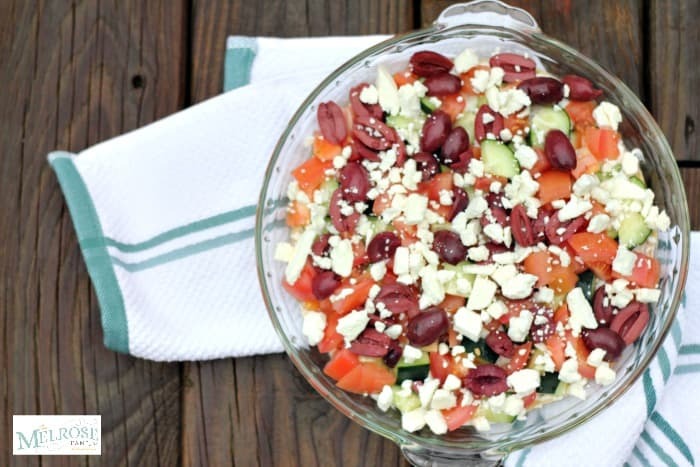 This Greek yogurt dip combines layers of hummus and tzaki all topped with fresh vegetables and a sprinkle of feta cheese. In a serving dish place a layer of garlic hummus and then top with tzatziki. Cover the hummus and tzatziki layers with chopped cucumbers and tomatoes. Top with the halved kalamata olives. Serve or chill until ready to serve. Serve with Crunchmaster crackers. 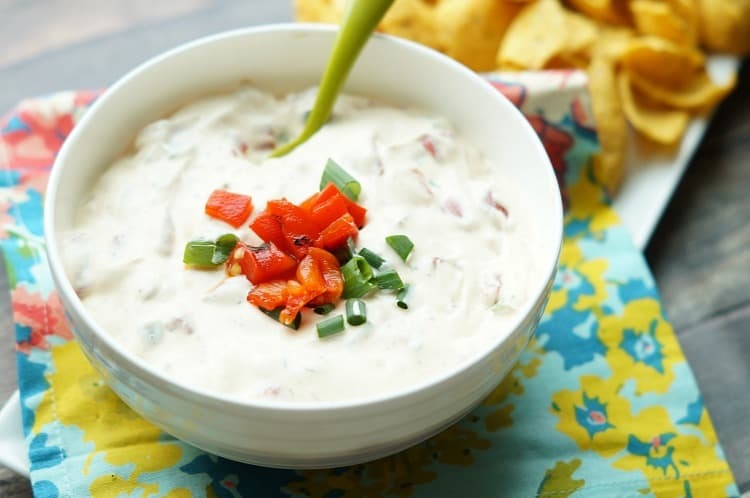 If you liked this Greek Yogurt Dip recipe you might also like…. From left to right: Black Bean Dip Recipe, Vegetarian Greek Lettuce Wraps & Spicy Roasted Red Pepper Ranch Dip.